Dahl (abdomen) was placed on the 10-day injured list Tuesday, Kyle Newman of The Denver Post reports. Dahl has a "slight" core injury in his lower abdomen, Nick Groke of The Athletic reports. 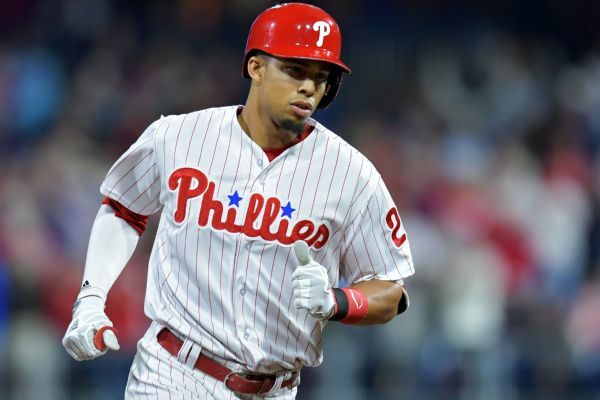 Philadelphia Phillies left fielder Aaron Altherr left the game after spraining his right big toe and bruising the knee while running full stride into the fence as he tried to catch a home run by Colorado's David Dahl. 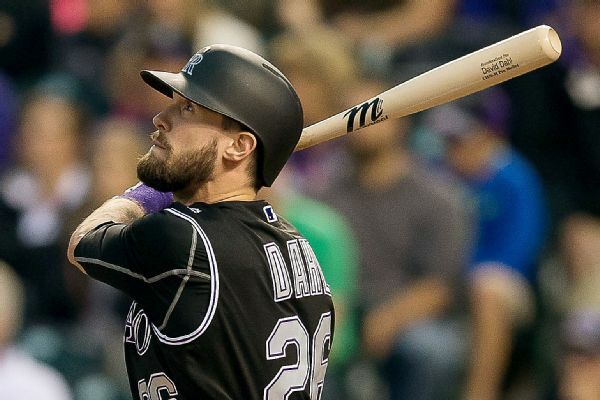 The Rockies placed outfielder David Dahl on the disabled list but reinstated second baseman DJ LeMahieu, who was in the starting lineup Friday. 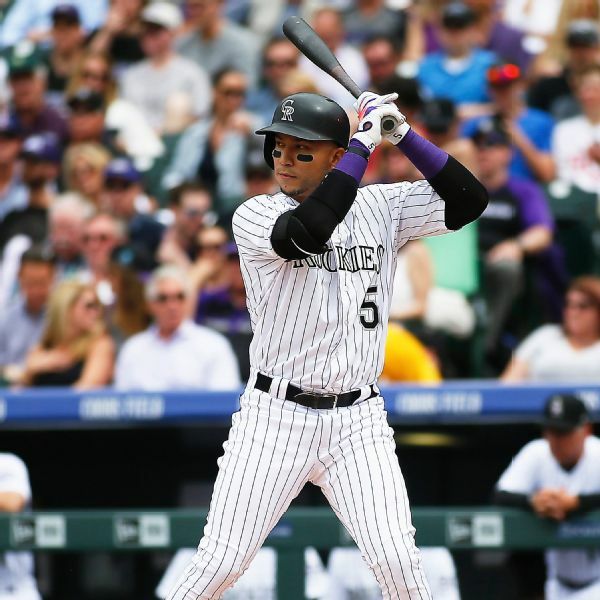 The Rockies placed outfielder Carlos Gonzalez on the disabled list with a hamstring injury and optioned outfielder Mike Tauchman to Triple-A. 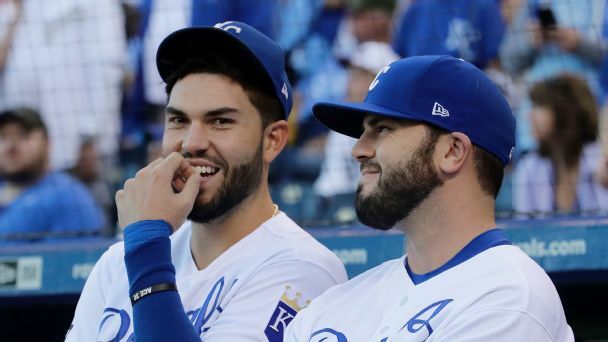 Outfielders David Dahl and Noel Cuevas were recalled in corresponding moves. Which players are off to the worst starts of 2017? 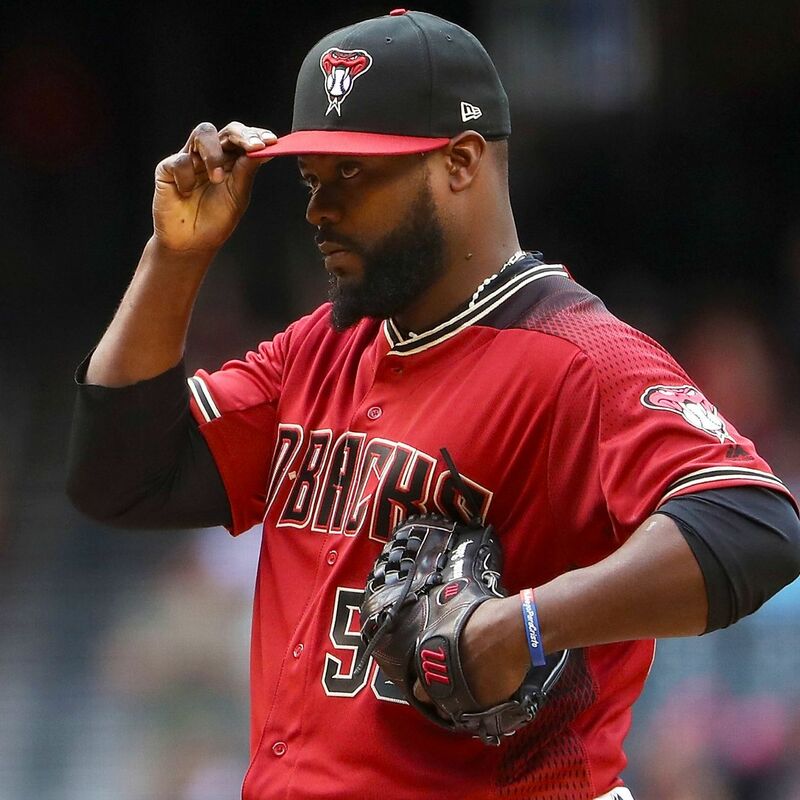 Arizona's closer hasn't been slamming the door. 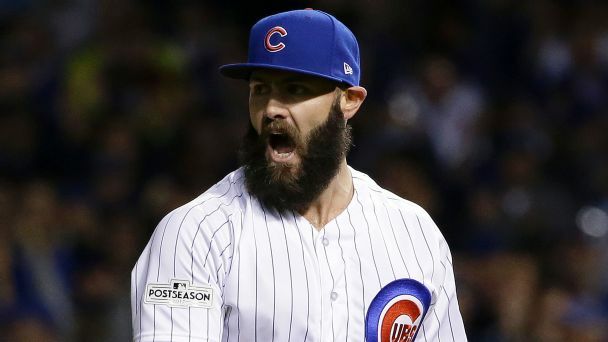 Chicago's DH hasn't hit. Others who need to pick it up after poor starts might surprise you. 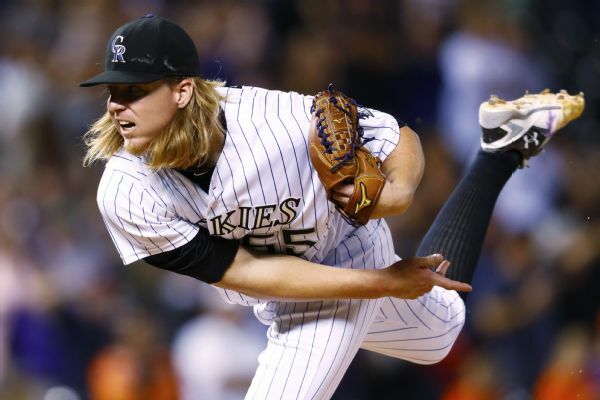 Rockies pitcher Jon Gray re-aggravated a toe injury originally suffered during spring training and will "give it some rest." 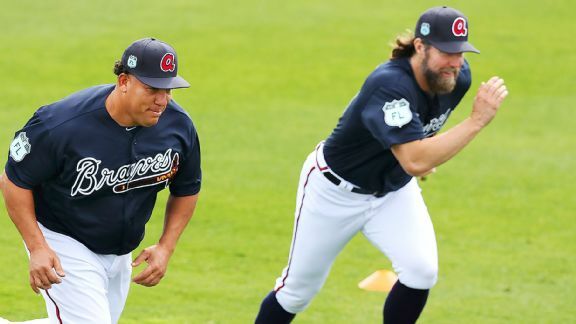 Bartolo Colon will make his Atlanta Braves debut Wednesday, 20 years and one day after he made his MLB debut. 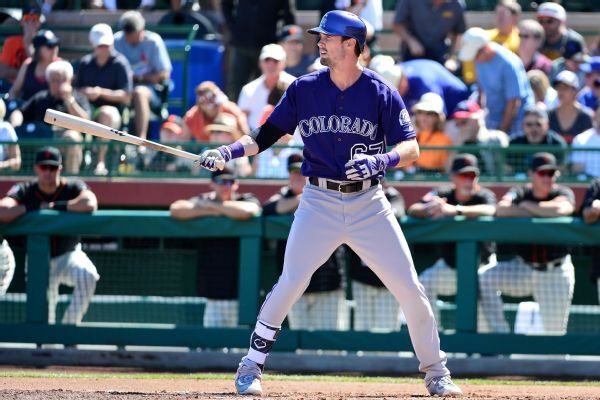 Rockies OF David Dahl, sidelined since late February with a rib injury, will not play in Colorado's home opener next week, meaning he will miss at least the first five games of the season.